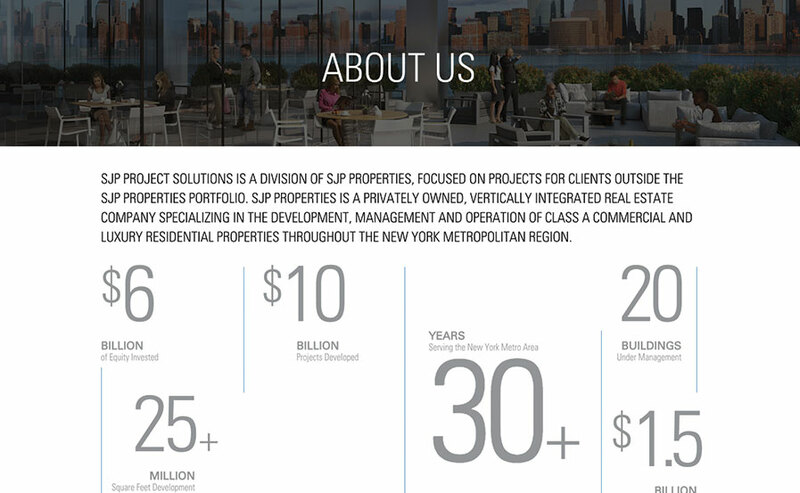 Splendor partnered with SJP Properties to bring their new Project Management division to market. Our initiatives positioned their group for success through effective logo design, interactive website design, slide deck presentation, stationery and brochure design, and online search engine optimization. 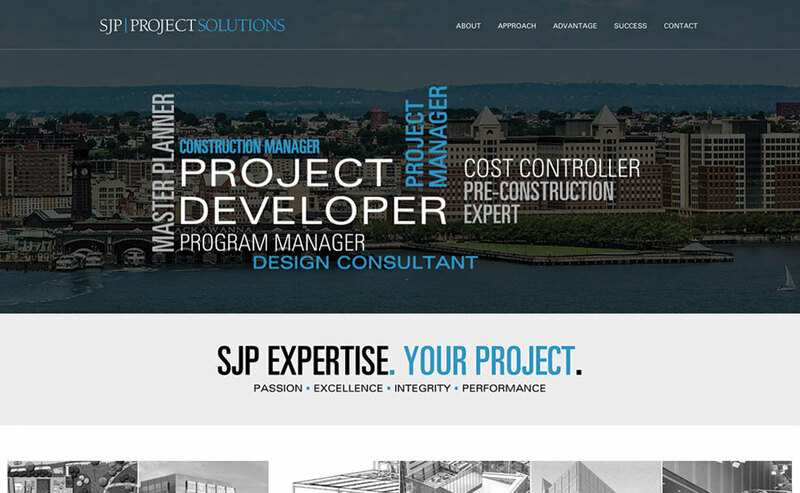 In order to distinguish this new division and make a serious impact on the marketplace, SJP Project Solutions needed to brand itself boldly, while staying true to its core values. 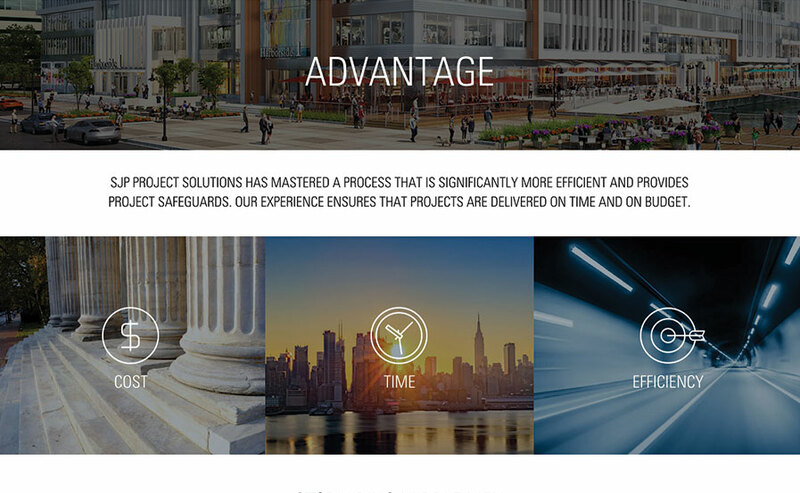 An animated homepage intro and highly interactive UX and UI helped educate visitors on a different way to approach project and construction management. Throughout the website, from the message to the design to the graphics, the user experience is clear, strong and positive. Splendor designed a small brochure to demonstrate SJP’s success and case studies, as well as their deep level of talent among their diverse and experienced team. This piece, along with custom business cards, are great physical assets that drive the brand position. Splendor crafted launch party invitations that were sent electronically to introduce industry leaders to SJP’s new division. The event was coupled with the grand opening of SJP’s the Modern II, a spectacular high rise in Fort Lee, NJ. We also created an entirely custom presentation deck that is able to be customized for each business development and partnership opportunity. 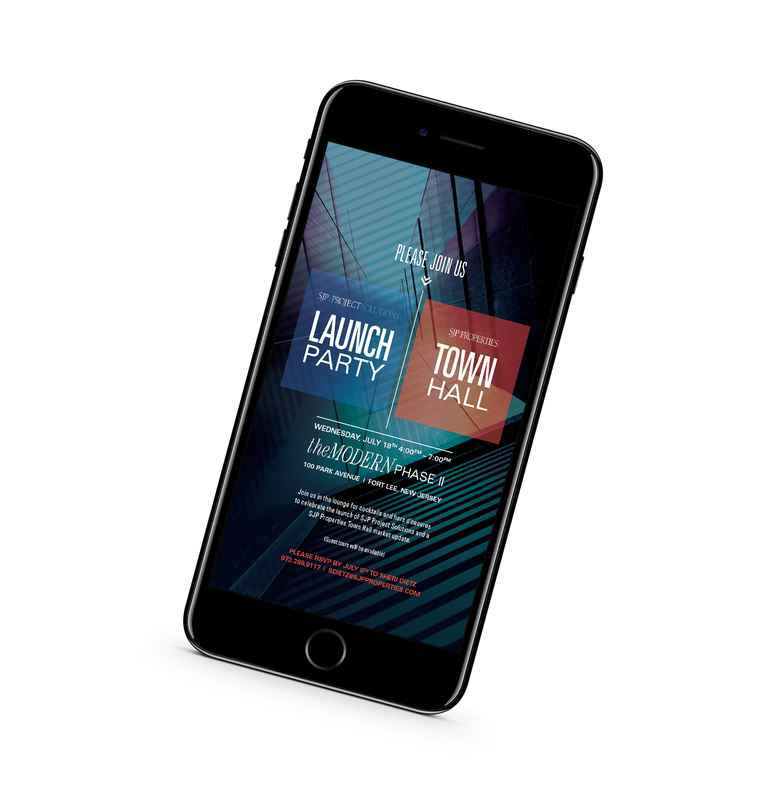 Through branded imagery, targeted language and sophisticated design, this presentation supports their launch and was well-received by the attendees at the launch event.